I am so thankful for Teachers Pay Teachers and the way it has pushed me to be a better teacher. It has opened my eyes to the wealth of quality resources out there and has introduced me to some of my best blogging/resource-creating buddies. And it has literally changed my life, financially. I reached a milestone a few weeks ago (while in Hawaii actually - the perfect background for celebration!!!) and my Frindle MEGA Activity Packet was featured in the TPT newsletter last Sunday. Click HERE to check out the 75-page packet that perfectly accompanies this awesome book about the power of words. The packet includes fun, engaging, and interactive activities for before, during, and after reading the novel. Comprehension questions for each chapter are also included. I printed the thank-you notes in B&W on colored paper and then cut them apart. When a student gave me a gift, I jotted down a quick note to myself and then during my lunch break each day, I addressed the thank-you notes and sent them home that day. It kept the task from getting overwhelming and I was able to thank them specifically for what they brought without writing out a long note each time. This cute, user-friendly, print-and-go packet is a real time saver for teachers! 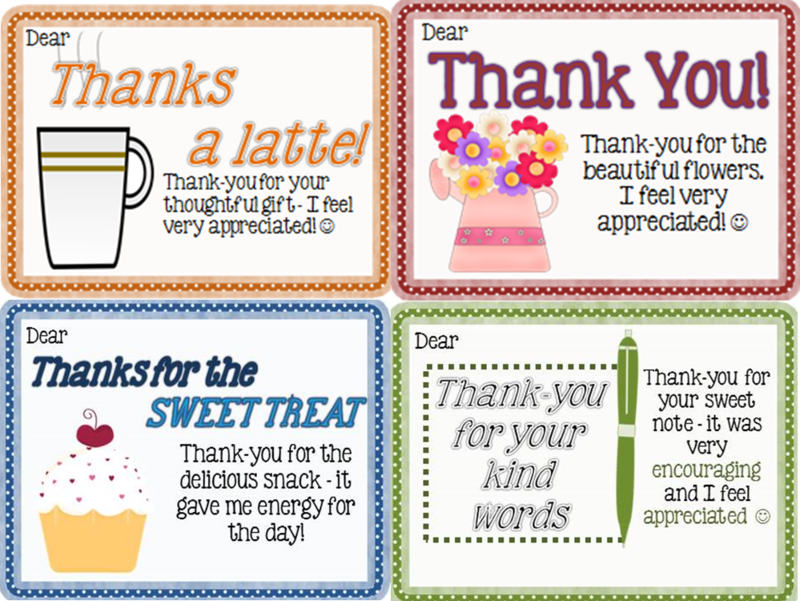 This 40 page packet includes notes to say "Thank-You" on any number of occasions - when a student gives you a gift, when a parent drops off a coffee, when a family donates a book, etc. Each template is included in both color and black & white. Packet also includes teacher directions and suggestions. Click HERE to snag this 40-page packet for FREE in my TPT store! And if you download it, please leave feedback!